A Los Angeles area Democrat wants to limit what he sees as a federal overreach of California’s strong gun control laws. In a measure introduced last week by Assemblymember Miguel Santiago, D-Los Angeles, the California Legislature would call on Congress to reject federal laws seeking expanded recognition of concealed carry permits and licenses nationwide. The resolution, AJR-24, is supported by Everytown for Gun Safety and seeks to repudiate S. 446 and H.R. 38, a pair of Republican-heavy bills on Capitol Hill that would largely extend mandatory recognition of gun permits across state lines. Of the more than 200 lawmakers supporting the reciprocity bills, 12 are from California. Wendy Wheatcroft, with Everytown-allied Moms Demand Action, pointed to the fact that 19 states do not require gun safety classes as part of recognizing the right to carry a concealed handgun, while California does. Gun rights advocates in the state look to national reciprocity as a way to restore equality to the constitutional right to keep and bear arms, with Santiago’s resolution an effort to suppress civil rights. AJR-24 has been referred to the Assembly Committee on Public Safety. This month, Gov. Kate Brown signed gun control legislation to allow “extreme risk protection orders.” The orders temporarily forbid a person from possessing or purchasing deadly weapons if they’re deemed an imminent threat to themselves or others. The bill Brown signed, Senate Bill 719, was one of the most controversial passed by the Oregon Legislature this year. Only one Republican supported it, and several Democrats opposed it. Two Republican legislators — Rep. Bill Post, R-Keizer (left), and Rep. Mike Nearman, R-Independence — have already launched a ballot measure campaign to get the law repealed. The law’s supporters, including Boquist, have said extreme risk protection orders may help prevent shooting sprees and suicides. Critics worry that courts and law enforcement officials will abuse the power to confiscate firearms. So: What does this new law really do? Is it really a gun confiscation law? Here we give the low-down on Senate Bill 719 and extreme risk protection orders. Does an extreme risk protection order allow for gun confiscation? The process begins when a family member or law enforcement officer petitions the court for such an order. The person must support the request with a statement made under oath showing that the respondent poses a threat to themselves or others. How is the decision to issue an extreme risk protection order made? A judge weighs the petitioner’s statement; the subject’s history of suicide threats or attempts of violence; convictions for domestic violence, stalking, DUI or animal cruelty; recent illegal drug use, unlawful and reckless use of deadly weapons; and previous violations of restraining orders. The judge can also take into account testimony from a mental health professional. Can a person’s guns be taken away without any evidence they pose a real risk? Petitioners will need more than a story to get a judge to issue an extreme risk protection order. And filing a false petition or with “the intent to harass” can land the filer in jail for up to one year. What happens after an extreme risk protection order is issued? If an order has been issued, the person subject to it has 24 hours to “surrender all deadly weapons” in their possession to a local law enforcement agency, gun dealer or a qualified third party. The order lasts for one year, unless the person subject to the order requests a hearing to contest the order and it’s overturned by a judge, or the original petitioner asks for the order to be revoked. Once the order expires, or if it’s overturned, the law enforcement agency in possession of the subject’s firearms “shall return the surrendered items,” according to the law. A school in Woodstock, Georgia, is facing fierce criticism online after photos emerged of young students handling guns at a firing range during a school-sanctioned trip. Holdheide Academy bills itself as an accredited preschool and Montessori academy for children from kindergarten to second grade. On Wednesday, several of the school’s students went on a field trip to Hi-Caliber Firearms, a gun store and range in Woodstock, roughly 30 miles northwest of Atlanta. Images of the children in the store, some where the students are holding guns, surfaced on Facebook shortly after. Almost immediately, debate erupted on social media, with some saying the school’s decision was “unacceptable, irresponsible and dangerous.” On Facebook, the school has received 43 1-star reviews out of 68 total, many coming in the past two days. Dorsten told WSB-TV that she got the idea for the trip because her first- and second-graders were studying sharpshooter Annie Oakley and frontiersman Daniel Boone in school. According to Dorsten, several students said they thought sharpshooting sounded easy, per the Journal-Constitution. “I wanted to show them it wasn’t easy,” she told the newspaper. Per WSB-TV, Dorsten said Hi-Caliber had a 1894 rifle and vintage revolver similar to what Oakley would have used, so she decided to take students to see them. Parents were given permission slips to sign before the trip, Dorsten said. “(They) were very supportive and knew what was going on,” she told the Journal-Constitution. While Holdheide takes care of infants as young as six weeks old, only six- and seven-year-olds went on the trip, Dorsten said. Dorsten also said the children went through a gun safety course before they handled the firearms, which she says were not loaded. The National Rifle Association has backed legislation teaching gun control to first-graders in Missouri in the past, per CNN, and a writer for NRA Family recommends that children as young as six who are interested in guns should be allowed to shoot them in controlled environments, though the writer also says children should be taught to keep their fingers off the trigger until ready to shoot. In the images from Woodstock, the children appear to have their fingers on the trigger, though it is not clear if the guns they handled were capable of firing. 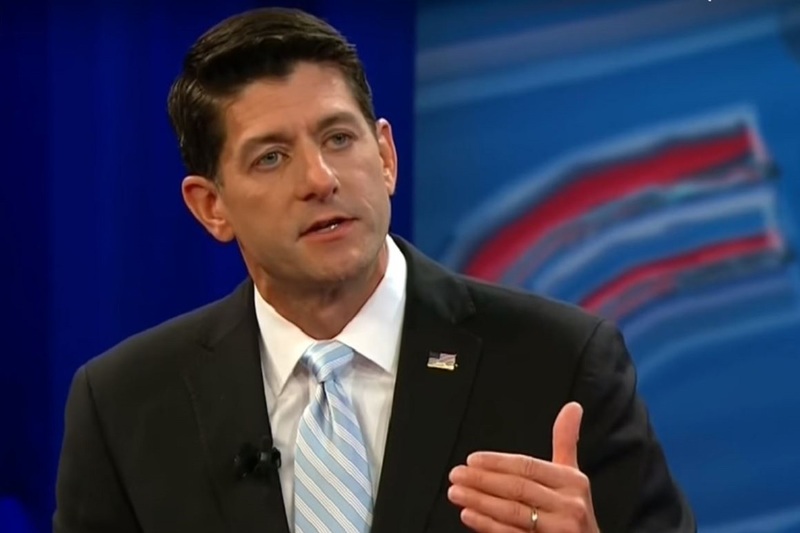 The audience member who brought up the Sikh temple attack was a familiar face to Ryan, because the questioner’s father had been killed in the shooting. But you should also be wondering, “how can my Second Amendment rights be protected if they can also be stripped away just for being “suspected” of something? Congress demolished these racist laws. The Freedmen’s Bureau Bill of 1865, Civil Rights Act of 1866, and Civil Rights Act of 1870 each guaranteed all persons equal rights of self-defense. Most importantly, the 14th Amendment, ratified in 1868, made the Second Amendment applicable to the states. Because of the 14th Amendment, gun control laws now had to be racially neutral. But states quickly learned to draft neutrally-worded laws for discriminatory application. Tennessee and Arkansas prohibited handguns that freedmen could afford, while allowing expensive “Army & Navy” handguns, which ex-Confederate officers already owned. While lynching began to decline in the early twentieth century, race riots increased. According to historian John Dittmer, blacks fought “back successfully when the mobs invaded their neighborhoods” during the Atlanta riots in 1906. When police stood idle as 23 blacks were killed during riots resulting from a black man swimming into “white” water near Chicago, blacks used rifles to kill 15 attackers. During the Tulsa Race Riot in 1921, whites (with government approval) burned down a square mile of the prosperous district nicknamed “Black Wall Street,” killing 200 blacks. There would have been more devastation had blacks not fought back, killing 50 of their attackers. Firearms made possible the Civil Rights Movement of the 1950s and 1960s. Charles Cobb’s excellent book, “This Nonviolent Stuff’ll Get You Killed: How Guns Made the Civil Rights Movement Possible” describes how pacifist community organizers from the North learned to accept the armed protection of their black, rural communities. The Deacons for Defense and Justice was an armed community defense organization, founded in 1965. With .38 Special revolvers and M1 carbines, they deterred terrorism in the “Klan country” region of Louisiana and Mississippi. When Dr. King led the “Meredith March against Fear” for voter registration in Mississippi, the Deacons provided armed security. Condoleezza Rice became a self-described “Second Amendment absolutist,” because of her experiences growing up in Birmingham. She recalled the bombings in the summer of 1963, when her father helped guard the streets at night. Had the civil rights workers’ guns been registered, she argued, they could have been confiscated, rendering the community defenseless. Similarly, when the Klan targeted North Carolina’s Lumbee Indians in 1958 because of their “race mixing,” the Lumbee drove off the Klan in an armed confrontation, the Battle of Hayes Pond. Klan operations ceased in the region. Justice Clarence Thomas’s opinion in the 2010 McDonald v. Chicagoexplicated the history of gun control as race control. Historically, people of color in the United States have often had to depend on themselves for protection. Sometimes the reason is not overt hostility by the government, but instead the incapability of government to secure public safety, as in Chicago today. Self-defense is an inherent human right. The 14th Amendment is America’s promise that no law-abiding person will be deprived of that right, regardless of color. “We are hopeful that the Supreme Court will reverse this egregious decision,” Chris W. Cox, executive director of the National Rifle Association Institute for Legislative Action, said in a statement. The Maryland law is one of a host of gun control measures passed in the wake of the 2012 Newtown, Conn., elementary school massacre – and, if taken up, the case could have sweeping implications for like-minded states in the gun control debate. In response to Newtown, 21 states passed some type of new gun control laws in 2013, according to a joint report by the Law Center to Prevent Gun Violence and the Brady Campaign. Most didn’t deal directly with buying or owning a firearm, but rather with background checks, record-keeping rules for gun dealers and other factors. However, four states—California, Connecticut, Maryland and New York—passed or strengthened bans on semiautomatic weapons in 2013. Those same four states, as well as Colorado, passed or strengthened bans on high-capacity ammunition magazines. Until a court rules otherwise, this might be the last type of existing legal gun ban. But Turner, of Hyattsville, and lead plaintiff Stephen Kolbe of Towson, Md., along with gun stores and gun-rights groups, are suing to overturn the Maryland law. They are specifically disputing a lower court ruling that said the Second Amendment doesn’t apply to these guns. “Maryland has banned the most popular semiautomatic rifles and magazines—arms that are indisputably in common use for self-defense—from the homes of its law-abiding citizens,” the plaintiffs’ petition said. Maryland’s law was upheld in federal district court. Then a three-judge panel of the 4th Circuit Court of Appeals in Richmond ruled 2-1 the law wasn’t constitutional. In July, the plaintiffs appealed their case to the Supreme Court. Their petition noted that a 1989 report by the U.S. Bureau of Alcohol, Tobacco, Firearms and Explosives, or ATF, described semiautomatic rifles as suitable for self-defense. For his part, Kolbe, a small business owner, first bought a semiautomatic handgun after an employee’s boyfriend threatened to kill her at work and police did not respond for 30 minutes, according to court documents. Maryland Attorney General Brian Frosh’s office declined to weigh in on whether the Supreme Court would accept the case. “The court has not even decided to take the case at this point and our office does not want to get into speculation on consequences, particularly since this is ongoing litigation,” Frosh spokeswoman Raquel Coombs told Fox News in an email. After the 4th Circuit upheld the law in February, Frosh heralded the ruling. “It is unthinkable that these weapons of war, weapons that caused the carnage in Newtown and in other communities across the country, would be protected by the Second Amendment,” Frosh said in a February statement. Other states are watching the case closely. Alabama, Alaska, Arizona, Florida, Idaho, Kansas, Kentucky, Louisiana, Michigan, Missouri, Montana, Nebraska, New Mexico, North Dakota, Oklahoma, South Carolina, South Dakota, Texas, Utah, West Virginia and Wyoming all filed amicus briefs on behalf of the plaintiffs. Meanwhile, California, Connecticut, Hawaii, Illinois, Iowa, Massachusetts, Oregon, New York and the District of Columbia filed briefs on behalf of Maryland. The NRA also is backing the legal effort. “Lower courts have been making up their own rules when it comes to the Second Amendment for too long, and the Kolbe decision crossed yet another line,” Cox said in a statement. The weekend violence brings gun-controlled Chicago’s homicides to 451 for the year, which is only 16 homicides short of where Chicago was this time last year. 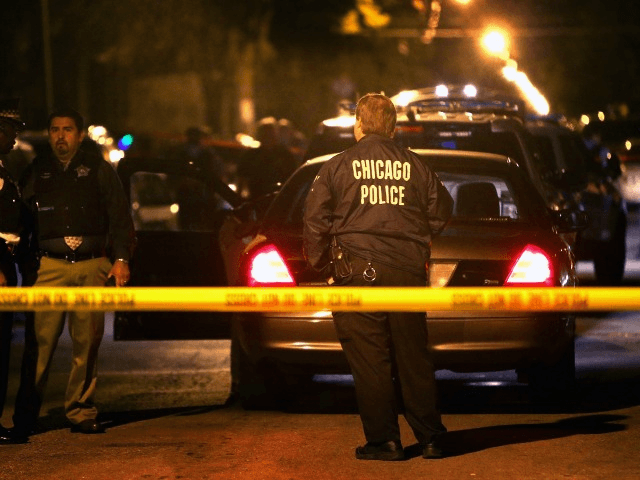 Chicago ended2016 with nearly 800 homicides and roughly 4,400 total shooting victims. 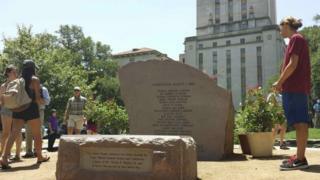 Image captionThe new law comes into effect on the 50th anniversary of a University of Texas mass shooting which claimed 14 lives. A new law has come into effect in the US state of Texas that allows students to carry concealed guns on campuses. Students aged 21 or over who have a concealed handgun permit may take guns into classrooms, under the new law. Texas has now become one of eight US states that allows students to carry guns into college buildings. Many higher education officials and students are concerned the law may discourage students from attending universities in the state. But supporters of the law argue it is “critical” to self-defence and upholding constitutional rights. They argue that deranged gunmen often target “gun-free zones” such as university campuses and cinemas because they do not meet resistance when they commit their crimes. But critics of the new law – which came into effect on the 50th anniversary of a University of Texas mass shooting which claimed 14 lives – is an ill-conceived solution that could serve to trigger yet more violence. The 1966 killings were carried out by former Marine Charles Whitman, 25, who brought a cache of weapons to the university’s main tower in Austin to shoot more than 40 people. The shootings were one of the defining events of the time and were considered to be the first US mass shootings to be seen live on national TV. Whitman was killed by police after a 90-minute stand-off. Some academics have argued that the law which took effect on Monday will also lead to a curtailment of free speech because students with guns could create an intimidating atmosphere which might suppress the open exchange of ideas. The law allows students who have gun licences to take concealed weapons into college facilities, although some areas – including sports arenas and chemical labs – are off-limits. Texan private schools and two-year community colleges are excluded from the new laws until next year. California has faced a number of setbacks in implementing the state’s latest gun-control measures, causing a number of deadlines to be pushed back and leaving some measures in legal limbo. Another troubled part of California’s new gun-control regime is a plan to require all ammunition sales be done through specially licensed dealers. By July 1 those who wanted to apply for the license to sell ammunition were supposed to be able to apply online, and the DOJ was supposed to have an online database of licensed dealers up and running. Neither the online license application portal nor the seller database were up and the regulations governing the licensing process were just made public on Monday. That means the process will likely take several more months to complete despite the fact that it will be illegal to purchase ammunition from anyone without the currently nonexistent ammunition dealer license on January 1, 2018. The first time Benjamin Bishop walked into Lock N Load and tried to buy a gun, employees at the Florida gun store turned him away — and rightly so. Bishop had been diagnosed with schizophrenia and claimed he was attacked by assailants — who existed only in his imagination, court records say. He abused bath salts, which intensified the hallucinations, and he punched holes in walls with a hammer and claimed he was Osama bin Laden, the documents say. After his mother had him involuntarily committed, he tried to strangle her. State and federal laws were designed to keep guns out of the hands of people like Bishop, but he wanted one anyway. So the second time he went to Lock N Load in Oldsmar, Fla., he brought a neighborhood acquaintance. As Bishop stood nearby, the 18-year-old acquaintance bought a 12-gauge shotgun for $279 in cash, court documents say. The transaction was a straw purchase, in which someone buys a gun for a person who is legally prohibited from possessing one. Straw purchases are illegal for both the buyer and the seller, though the Tampa Bay Times reported that the teen who bought the shotgun later cooperated with authorities and wasn’t charged with a crime. Outside the store, the neighbor turned the 12-gauge over to Bishop, who said he wanted to use it to protect himself from gang members. But Bishop used the weapon on his mother instead: In 2012, he shot Imari Shibata and her boyfriend as they slept in their home in Pinellas County. She’d told him that he needed to get a job and that he had to take his schizophrenia medication. Bishop was furious. He fired eight rounds at the couple, then called 911 to confess. Bishop’s mom and her boyfriend, Kelley Allen, were found dead at the scene. Bishop, now in his early 20s, is serving two consecutive life sentences in prison. With the gunman off the streets, the families of the victims and the Brady Center to Prevent Gun Violence focused their attention on Lock N Load, the store where Bishop got his gun. A lawsuit filed in 2014 in a Florida circuit court by the families and the Brady Center claimed that the store’s owner, Gerald Tanso, didn’t do enough to keep a dangerous weapon out of the hands of a mentally ill man with a criminal record. The parties settled. Most of the details of the settlement are confidential, but one part was made public: Tanso agreed to sell his gun store and never sell a firearm again. Tanso has never been charged with a crime in Bishop’s case, nor were any of Lock N Load’s employees. But if anyone “was personally and acutely aware of the risk associated with supplying firearms to mentally unstable individuals,” the lawsuit says, it should have been Tanso. In 2011, his store sold a .38-caliber pistol to Julie Schenecker, who cleared all the appropriate checks, then used the gun to kill her two children. She’s serving two concurrent life sentences in prison. Tanso initially called the legal action a “bogus lawsuit” filed by people who “are looking for money,” according to the Tampa Bay Times. But on Friday, as part of a settlement, he released a statement via the Brady Center that encouraged gun owners to be cautious about whom they sell to. “I have sold my gun shop and will no longer engage in the business of selling firearms,” Tanso said in the statement. “Our Second Amendment protects the rights of law abiding citizens and we must protect those rights. At the same time, we must exercise great caution and due diligence with great responsibility in preventing firearms from getting in the wrong hands of people who seek to harm us all. The statement listed several measures that go beyond what the law requires, including asking questions to ensure gun buyers aren’t purchasing them for prohibited people and maintaining and reviewing records of trace requests. Attorneys for the plaintiffs told The Washington Post that other conditions of the settlement were confidential. A man who answered the phone at a home phone number listed for Tanso said the former gun store owner was on vacation. Tanso did not return a message. Jonathan Lowy, a Brady Center attorney involved in the case, said the organization has been going after the small percentage of gun stores that, he said, are responsible for 90 percent of the guns used in crimes. “Most gun dealers are responsible business people who do what they can to prevent dangerous people from getting guns, but unfortunately there are some that don’t,” Lowy told The Post. Last year, the Brady Center, a nonprofit that advocates for gun control and against gun violence, settled a $2.2 million wrongful-death lawsuit with a Missouri gun dealer who sold a gun to a mentally ill woman who then killed her father, according to the Kansas City Star. Gun-control advocates had a number of other successes recently, according to The Post’s Amber Phillips: Twenty state legislatures rejected bills to allow guns in public without a permit. Seventeen states rejected bills to allow guns in schools. And Hawaii and Washington passed laws requiring that police be notified when a felon or domestic abuser tries to buy a gun and fails a background check. But 60 bills supported by the National Rifle Association also became law this year, Phillips reported, and West Virginia, Tennessee and Arkansas reduced gun-free zones in public buildings and parks. Marion Hammer, a former president of the NRA who is now a lobbyist for the organization, said it doesn’t comment specifically on lawsuits it is not involved in, but she criticized the Brady Center’s tactics in general. The Brady Center was founded as the National Council to Control Handguns in 1974. In 1981, it was renamed after James Brady, President Ronald Reagan’s press secretary, who was permanently disabled during the 1981 assassination attempt on Reagan. Brady and his wife became strong voices for gun control, fighting for legislation that would require background checks to buy a gun from licensed firearms dealers. Brady died in 2014. Despite the Brady Center’s victories in Florida and Kansas City, Erich Pratt, executive director of Gun Owners of America, said courts have been throwing out similar cases for years. But Lowy said the Brady Center goes after “bad-apple gun dealers” who skirt laws enacted to keep guns out of the hands of dangerous people. Bishop has followed the debate that has raged since he was imprisoned and said he doesn’t think legislators should strengthen gun laws. But the Times said Bishop also referenced the 2012 massacre in Newtown, Conn., in which Adam Lanza fatally shot 20 children and six staff members at Sandy Hook Elementary School. The Senate voted on 4 popular gun control proposals Monday. Here’s why none of them passed. Update No. 2: All four measures, as expected, failed. Update: A new poll from CNN shows 92 percent of Americans support expanded background checks and 85 percent support preventing those on terror watch lists from buying guns. As we’ll explain in the post below, though, none of the below proposals aimed at these things are likely to pass. One filibuster, two gun control proposals, four party-line votes, zero compromises, lots of finger pointing. That’s what we can expect Monday evening as the U.S. Senate votes on four different gun control amendments — two offered by Republicans, two by Democrats — a week after the deadliest mass shooting in U.S. history. We can confidently predict all four of these votes will go nowhere because the Senate took almost the exact same votes in December after the San Bernardino, Calif., attacks. Those votes largely fell — and failed — along party lines, with Republicans supporting looser versions of gun control proposals and Democrats supporting stricter versions. We have no reason to expect different results Monday. Still, all is not lost: Both sides can and probably will use the results of Monday’s votes to rally their bases for November and try and apply pressure to the other side over the next few weeks and months. Here’s a step-by-step guide on what Monday’s gun control votes mean and how to follow along. The ground rules: The votes are expected to start at 5:30 p.m. Eastern time on Monday, and they’ll be proposed as amendments to a larger spending bill for the Commerce and Justice departments. All four amendments will need 60 votes to be included in the package, which will also need to gain final approval. But given the partisan makeup of the Senate (54 Republican, 46 Democrat), and how the gun debate tends to fall neatly along partisan lines, we don’t expect any of the proposals to advance. How this fared in previous votes: Not well. A version of this that Grassley introduced in December failed to clear the 60-vote hurdle, 53-46. Our prediction: It will fail this time too. Democrats don’t think it does enough to expand background checks because, well, it doesn’t expand background checks. It simply tries to improve the system we have now. Will Sen. Chris Murphy’s gun control filibuster change anything? How this fared in previous votes: Not well, although it got some bipartisan support. It failed to get the 60 needed to move on, 48-50, although four Republicans voted for it: Mark Kirk of Illinois, Susan Collins of Maine, John McCain of Arizona and Pat Toomey of Pennsylvania. Our prediction: It will fail again. Most Republicans don’t support expanding background checks to gun shows and other purchases — or simply fear any additional gun laws are a slippery slope. What it does: Right now, anyone on the FBI’s various terrorist watch lists — including the no-fly list that prevents you from getting on a plane — can legally buy a gun. Under this bill, if you’re on that list and try to buy a gun, you’d have to wait 72 hours. The idea is to give federal officials time to convince a judge there’s probable cause you have ties to terrorism while still protecting the 2nd Amendment rights of anyone who is mistakenly on a terrorist watch list — like the late Sen. Ted Kennedy (D-Mass.) once was. How this fared in previous votes: Not well. (Sensing a trend here?) A similar version failed in December on a 55-44 vote. Democrats — and Attorney General Loretta Lynch — say it’s impossible to put together a case that a potential gun purchaser is a suspected terrorist in just three days, so they argue this bill would essentially allow anyone on the watch list to still be able to buy a gun. Our prediction: It will fail again, for the reasons described above. What it does: Lets the attorney general ban anyone on FBI’s various terrorist watch lists from being able to buy guns. If you feel like you’re mistakenly on the list and you get denied a gun, you can challenge the FBI’s decision in court. How this fared in previous votes: Not well, although it got some bipartisan support. A similar version of this failed in December, 45-54, with two senators voting on the other side: Sen. Heidi Heitkamp (D-N.D.) voted with Republicans against this bill, and Sen. Mark Kirk (R-Ill.) voted with Democrats for this bill. Our prediction: It will fail again. Republicans think this bill takes away people’s constitutional rights for due process because it bans them from buying a gun first, then allows them to challenge it in court later. And even as some Republicans have expressed a willingness to look at the no-fly list proposal — up to and including Donald Trump — they are more likely to favor the GOP proposal over this one. Believe it or not, there are some opportunities — however small — for Congress to move forward on gun control legislation in the wake of Orlando. For example, here’s one new idea that almost all of the four proposals above, have added: If a person who has been on one of the FBI’s terrorist watch lists at any point in the past five years tries to buy a gun, the federal government must immediately notify law enforcement about it. The Orlando shooter, Omar Mateen, had been on and off the FBI’s watch list before he bought his weapons. And there are negotiations going on behind the scenes to try to merge Democrats’ and Republicans’ terrorist watch list proposals. As The Washington Post’s Karoun Demirjian reports, Collins (R-Maine) is working on something that Democrats haven’t dismissed outright. She wants to prevent people on two of the FBI’s terrorist watch lists (it’s unclear exactly many lists there are for perhaps obvious reasons) from buying guns: the no-fly list and the selectee list. Both lists deal with a person’s rights at the airport. If you’re on the no-fly list, you can’t board an airplane. If you’re on the selectee list, you get extra security screening when you try to board a plane. Mateen was on the selectee list for a time. And under Collins’s proposal, if you are on these lists and are denied your right to buy a gun, you can challenge it, and if you win, the government has to pay your legal costs. Again, her proposals are not exactly what Democrats want (they don’t like the idea of working with just these two terrorist watch lists) or what Republicans want (they don’t like the idea of banning a person from buying a gun first, then offering legal recourse later). But that’s the essence of a compromise, and right now it looks like the only one the Senate’s got. Tellingly, Collins’s proposal isn’t up for a vote Monday, suggesting it might not yet have backing from Republican leaders. Fox News host Tucker Carlson took on a gun control advocate on his show Friday over Seattle’s recent gun tax and its apparent failure to quell gun violence, and instead, backfire completely. In 2015, Seattle implemented a “gun violence tax,” which aimed to reduce the amount of gun violence in its city limits. The tax imposed a $25 tax for every firearm purchased and a $.05 tax for every round of ammunition bought within the city limits. The tax has hurt small business owners in the city that own gun stores and has even forced many of them to lay off workers, move to the suburbs or completely shutdown altogether. But new reports indicate the law hasn’t worked the way it was intended to. In fact, violence has increased in Seattle and murders have doubled this year. Carlson said it proves the law has backfired. Gun control advocate Mark Glaze disagreed. Glaze said the purpose of the law was to help fund studies of gun control and not to end gun violence like Carlson allegedly claimed. However, Carlson said that isn’t what he claims. Glaze responded by accusing the “gun lobby” of preventing the federal government from allocating funds to study gun violence, so Seattle created their tax in order to do it themselves. But Carlson wanted Glaze to address the real facts of the matter. Glaze again reiterated his claim that no person in Seattle thought the gun tax would drive down gun violence, but Carlson quickly called out him out. Glaze then tried to move the conversation along to discuss control measures that he alleged the public “wants.” He said that instead of a gun tax, Seattle should implement a ban on “semi-automatic” rifles with “high capacity” magazines, alleging that gang members “most often” use them to commit acts of gun violence while drawing a connection to the weapon used to nearly assassinate House Majority Whip Steve Scalise (R-La.) earlier this month. But once again, Carlson was quick to throw a time-out on the field. “So I know these guns may look scary, and they send you guys into a frenzy because they’re terrified-looking, but they don’t actually drive the problems. So again, you’re wrong,” he explained. Given the number of firearms in America — which is believable to be several hundred million — Carlson said the “truth” of the matter is the only way gun control advocates will get what they want is through gun confiscation. Glaze suggested the federal government buyback Americans’ guns in order to dramatically reduce the number of firearms in the country similar to what Australia did. But Carlson noted that Australia’s gun “buyback” wasn’t voluntary and was actually gun confiscation. “Is that the plan? To take people’s guns by force?” Carlson questioned. Glaze responded by alleging two-third of American gun owners would willingly give up their firearms in a government buyback. “Good luck with that, Mark,” Carlson quipped. 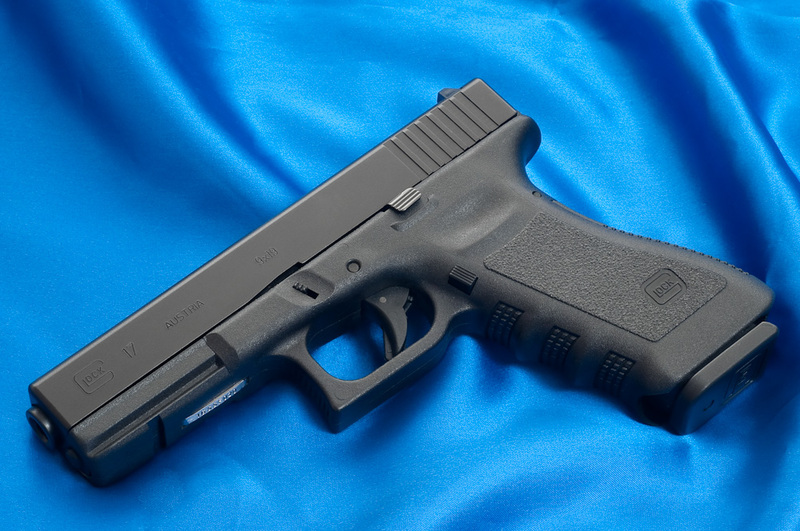 A Massachusetts man is going after firearms manufacturer Glock Inc., among other companies, in federal court after he says a pistol exploded in his hands. He is now suing for $1 million. Mass Live reports plaintiff Rodney MacDonald, back in 2012, was on a hunting trip when he fired the gun and it blew apart, sending shrapnel flying into his face and body. “The Plaintiff fired two shots from the gun without incident. On the third shot, the gun exploded/blew apart while the Plaintiff was holding the gun and firing it,” the lawsuit reads. The lawsuit was filed in 2015, but a handful of delays plus an already slow court system caused this case to slip through without one single hearing until just recently. However, the fact that this incident occurred back in 2012, and Mr. MacDonald is just now taking legal action, smells awfully funny. It’s also worth noting here, the list of companies that were originally stated in the complaint: in no particular order, Georgia-based Glock, Inc., which manufactured the 10 mm firearm referenced in this case; Guns and Gear, a firearm retailer in Agawam, where the pistol was purchased; Buffalo Bore Ammunition, Inc., manufacturer of the ammunition used in the gun at the time of the incident; and Cabela’s Wholesale Inc., which sold the ammo, according to court documents. Guns and Gear was later axed from the lawsuit, according to court filings. These claims are no stranger to Glock though, and they intend to defend the case in front of a federal court judge. The 2013 SAFE Act tightened assault weapon regulations and banned high-capacity magazines in the state. ALBANY — Gov. Cuomo vowed Tuesday to fight any attempt by Congress to negate the gun control law New York lawmakers adopted after the Sandy Hook massacre. Cuomo, during a stop in upstate Hudson, N.Y., blasted Rep. Chris Collins (R-Erie County) for introducing The Second Amendment Guarantee Act, which would limit the authority of states to regulate rifles and shotguns. A spokeswoman for Collins defended the proposed legislation, saying it would remove restrictions “unfairly placed on New Yorkers” by the governor. “Governor buy metronidazole antibiotic Cuomo took away the Constitutional rights of Americans when he signed the so-called SAFE Act into law,” said Collins spokeswoman Sarah Minkel. “If Governor Cuomo wants to criticize Congressman Collins for sticking up for his constituents by protecting their Second Amendment rights, or for working to reduce their property taxes, he can answer to them in 2018,” Minkel added. Erie County Rep. Chris Collins’ bill would undercut firearm restrictions put in place by New York’s SAFE Act. Known as the SAFE Act, the gun control measure adopted by Cuomo and the state Legislature in early 2013 banned high-capacity magazines and tightened the state’s existing ban on assault weapons. It also implemented new safeguards to prevent the dangerously mentally ill from possessing guns. Collins’ proposed bill would block states from imposing gun regulations that are stricter than federal law. Cuomo on Tuesday said Collins and fellow upstate Republican Rep. John Faso had “pledged allegiance to that ultra-conservative orthodoxy” that has taken over Washington. During the recent health care debate, Collins and Faso sponsored an amendment that would have shifted the local costs of Medicaid outside of New York City to the state. Cuomo blasted the amendment, warning it would cost the state $2.3 billion a year. Quarterly campaign filings indicate that Sen. Joe Manchin (D-WV) took “$87,000” from individuals tied to gun control law firm Paul, Weiss. This news comes less than a month after Breitbart News reported that Manchin told The Young Turks‘ Cenk Uygur that he has no idea who gives him money. The same Sen. Manchin who said these things when asked about First Energy may want to explain the donations tied to Paul, Weiss. 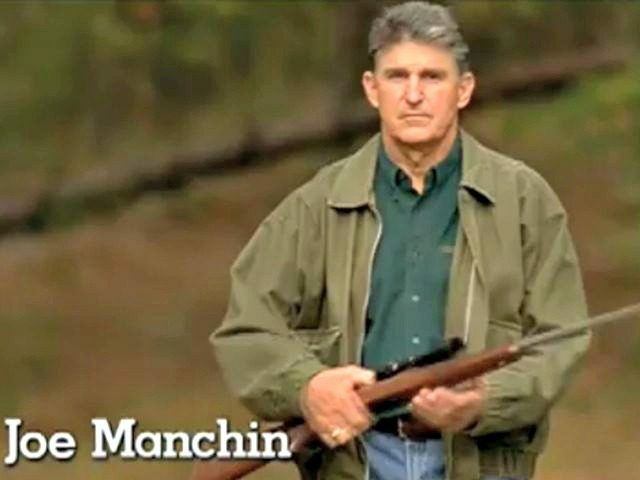 After all, Manchin was Barack Obama’s go-to-guy for gun control in the Senate–Manchin spearheaded the failed, post-Sandy Hook gun control push–and he pushed gun control again and again after high profile attacks since Sandy Hook. Paul, Weiss also “has longstanding connections” to Bill & Hillary Clinton and held a political fundraiser for Hillary when she was running on the pro-gun control presidential ticket. At least one person was injured as police pulled people from the room, and an ambulance was called to the scene. Police say the 27-year-old who was arrested complained of chest pains after being arrested. He has been transported to a local hospital for treatment. After all of Tuesday’s events, council members voted through an amended gun bill by a 5-2 vote, moving it to the next round. City officials say they’re trying to end the slow motion massacre on the streets of Baltimore by putting a gun law back on the books that says those found guilty of carrying an illegal gun will be given a mandatory year-long sentence. Council member Brandon Scott, of the 2nd district, says he’s against the bill in any form. “The amendments make the bill easier to stomach, it still doesn’t change the fact that I disagree with the bill in its entirety and its principles of mandatory minimums,” he says. One of the staunchest supporters of the bill says he’s not a fan of the amendments, but he was willing to compromise in order to get closer to the goal. “I have dozens and dozens of constituents who have reached out about this, and they are frankly sick and tired of people illegally carrying guns on the street and wreaking havoc on out communities,” says Eric Costello of the 11th district. Under the amended version of the bill, a mandatory minimum sentence would only apply to second offenses, except for first time offenders whose gun violation was committed along with another crime. The mayor did not specifically comment on Tuesday’s amendments, but she still strongly supports the bill she hopes will get illegal guns off Baltimore streets. The city council will re-visit the bill in about three weeks. Rep. Mo Brooks used a clip of him responding to the Alexandria shooting in his Senate campaign ad. “June 14: A Bernie Sanders supporter fires on Republican Congressman,” begins a Brooks ad for his current Senate run. The spot notes that Brooks, 63, gave his belt to be used as a tourniquet before faulting the “liberal media” for asking about gun control after yet another American rampage shooting. “The Second Amendment right to bear arms is to help ensure that we always have a republic,” the conservative said in a TV clip from after the shooting that he repurposed for his campaign. Ahead of him are Luther Strange, appointed to the seat after Sessions’s departure, and former Alabama Supreme Court Chief Justice Roy Moore, who resigned to run for Senate after being suspended earlier this year for failing to follow the U.S. Supreme Court’s gay marriage ruling. Investigators gather at Eugene Simpson Field, the site where a gunman opened fire on June 14. Brooks has made guns a focus of his campaign after the shooting, sponsoring a “Congressional Self-Defense Act” that would allow federal lawmakers to carry guns in the U.S. Capitol. “The day of the shooting, while waiting at the hospital, I avoided the news/audio/video as much as possible. This makes my stomach turn,” Scalise’s chief of staff Brett Horton said on Twitter.